We’re planning to publish photos each week from a walk round the reserve by one of our volunteers, just to show what’s happening and when. The best view is perhaps of the whole length of the pond, from the north end, so let’s start with that, today, March 24th. In the selection of photos below, you will see hawthorn and horse chestnut just coming in to leaf, and various ground cover plants enjoying this season of increased light, but before the leaf canopy develops. 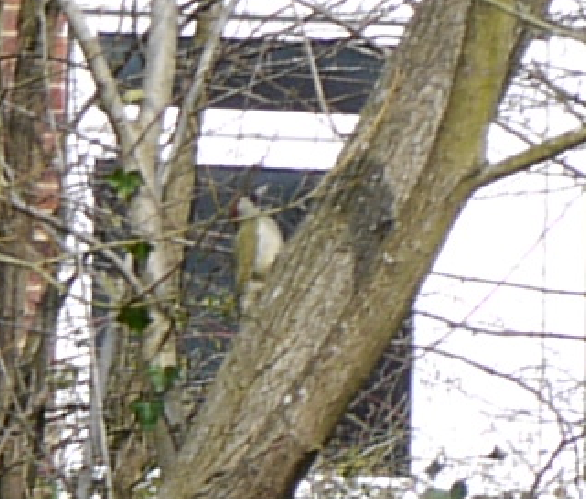 Look incredibly carefully, and you will see a green woodpecker – but I’ll need to magnify the image a bit.